Envision relaxing on the sofa while the family plays a board game at the U-shaped dinette slide out while it's raining outside. 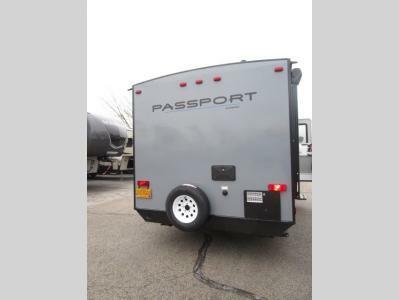 This Passport travel trailer provides seating and sleeping arrangements for four people, plus a full bathroom. You can enjoy a front living area during the daytime, and a Murphy bed at night. No more looking at your unmade bed while camping. 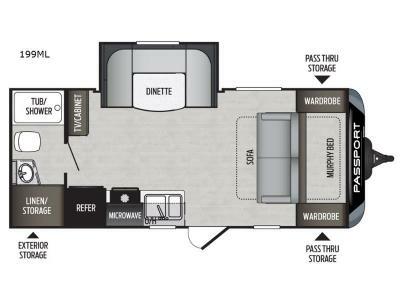 The full bathroom in the rear allows you to skip the public facilities and store extra clothing in the wardrobe, the kitchen amenities provide the necessary appliances to make your favorite meals, and you will find storage for all your things inside, and outside in the pass-through compartment. 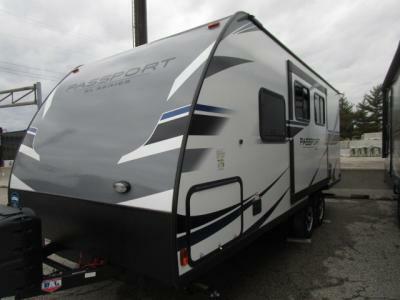 Comfort, relaxation, and fun are what you will get every time you take this model out. 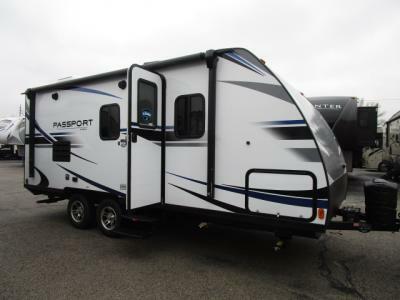 The Passport Express models come in a compact design with travel-friendly lengths that are lightweight and easy to tow behind many smaller crossover SUVs. You will find several residential style features such as durable Armstrong linoleum, furniture with high grade fabric, and raised panel hardwood cabinet doors. 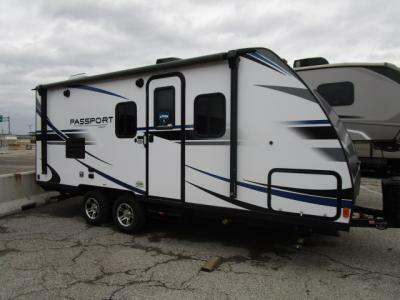 The exterior shower is very useful to get cleaned up before entering the RV, washing your pets, or even cleaning a few dishes outside. Choose your favorite Passport Express today, and start making memories tomorrow!